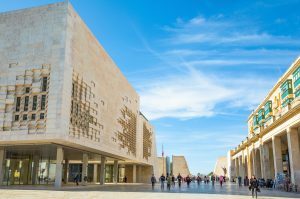 If you’re interested in architecture, you’ll find plenty of reasons why you should move to Valletta. The capital is full of glorious historical buildings, untouched by the ugly modernity you might find elsewhere. There are incredible palaces, stunning gardens, 25 beautiful churches, and the definite highlight: St John’s Co-Cathedral, built by the Knights of St John in the 16th century. Yes, that’s not just any pub – it’s The Pub, a charming watering-hole that can easily be found in the centre of Valletta. Legendary British actor Oliver Reed enjoyed his last drink here, sadly passing away in The Pub while filming his final role, in the movie Gladiator. Today, The Pub pays tribute to the great actor’s life, with newspaper clippings and memorabilia on the walls. Believed to be the oldest saluting battery in the world, this 500-year-old tradition still takes place every day at 12:00 sharp. Get to the Grand Harbour with a bit of time to spare, as there will be a short commentary at 11:45 am each day before the guns are fired. There is no salute on public holidays, but you can see it every other day of the year. In 2018, Valletta has been given the accolade of the European Capital of Culture. This prestigious award was announced in 2014, so the Maltese have been able to prepare the capital for its big moment. Over the year, expect to see a number of events proudly showing off the unique Maltese traditions and culture. Everything kicks off on the 14th of January, and this celebration will last all year. At just €1, there’s no excuse for missing out on the Upper Barrakka lift. 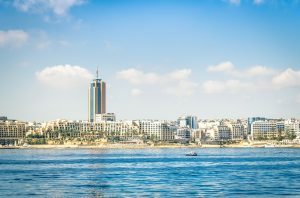 This elevator, which opened in 2012, carries up to 21 passengers from the Grand Harbour to the Upper Barrakka Gardens. That’s a distnace of 58 metres in just 25 seconds! Open every day from 7am to 10pm, this is the fastest way of getting from the waterfront to the city centre. 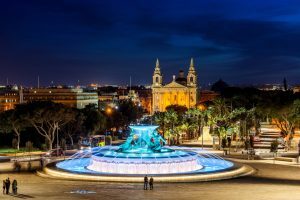 Maltese art may not be well-known internationally – but there’s still plenty to see around Valletta, and you can expect some of the artworks on display to become more renowned as the years go by. Pay a visit to the National Museum of Fine Arts, where you can see an amazing collection of paintings, statues and silverware. Maltese artists are well-represented, but you can also see works by international masters such as Turner, Bierstadt and Ribera. You can also admire the largest Mattia Preti collection on public display anywhere. 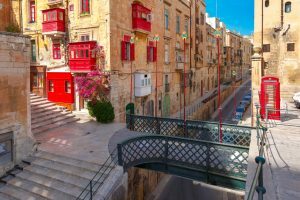 Strait Street is still Valletta’s most famous street today, but visitors from the 19th to mid-20th century found it to be far wilder than it is today. Back then, it was the place to go for British and American forces stationed in Malta. It was a crazy place, with live music, dancing, cross-dressing, and women working in the world’s oldest profession…you won’t see all of that today, but the street that was known as “The Gut” is still lined with its original buildings, and you can find plenty of interesting bars. Built in 1731 by the Knights of Malta, the Manoel Theatre survived both World Wars unscathed, and served as an air raid shelter in World War Two. It is one of the oldest theatres in operation in the world, and visitors can admire the original, well-preserved decor inside and out. There are still plenty of shows on offer. From opera to pantomime, there’s something to suit everyone. Valletta is an official UNESCO World Heritage Site, and as you explore it, you’ll find that it’s easy to see why. Across the city, you can find more than 320 monuments, showing the fascinating mixture of civilisations which have claimed Valletta over its long history. You can see works by the Phoenicians, Greeks, Carthaginians, Romans, Byzantines and Arabs. Of course, the Knights of St John have made their mark on the city, too, and you can see the more recent historical effects from the essential role that the capital played during the Second World War. It’s astonishing really, when you consider that Valletta is just 80 hectares in size. Everywhere you go, you’re sure to run into some history. The Maltese love their food, and it’s easy to see why! Around Valletta you’ll find restaurants and cafes to suit you, no matter how small your budget may be. Local specialities like the pastizzi pastries or date cakes can be eaten in the street, while there are a number of sit-down restaurants for fine dining, too. It’s not just Maltese food, too – as you explore the city, you can enjoy restaurants showcasing a number of different cuisines. 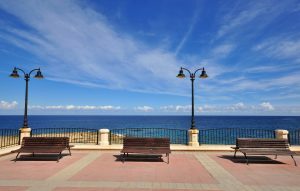 Get away from the main streets and look for the hidden gems dotted all over Valletta! 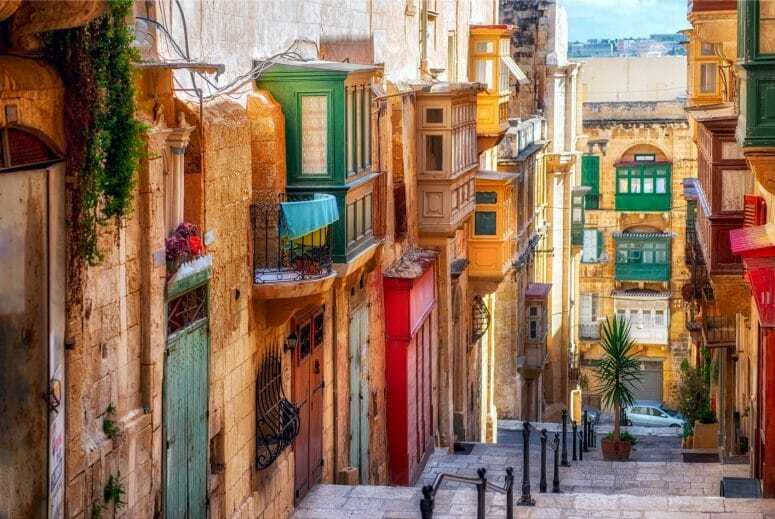 The best way to escape from the heat of the Maltese summer is to duck into a museum – and in Valletta, you’ll find yourself spoiled for choice. This tiny nation has a long and absorbing history, and there are museums dedicated to each significant era. 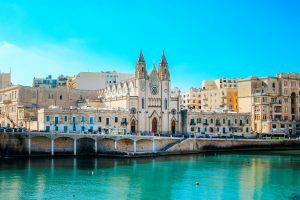 You can learn about important historical events at the Lascaris War Rooms, explore The Grand Masters Palace, discover The Great Siege of Malta, explore the history of the Knights Hospitallers, and even learn about Malta’s postal service. 12. Shop till you drop! You’ll find a wide range of shops in Valletta. Of course, there are all the typical European high street favourites, but if you fancy something more unusual, there are plenty of shops that might catch your eye. That includes unusual Maltese crafts, like hand-knitted clothing made on the island of Gozo, filigree jewellery and Maltese lace. There are artisan chocolate shops, stores which specialise in luxury toiletries, and more. If you’ve got the stamina – and the wallet – you’ll be sure to find everything you need! 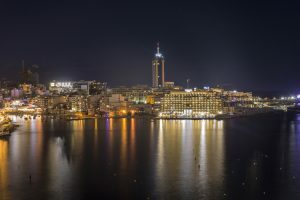 Elsewhere in Malta you’ll be able to find crazy party boats and tours of other islands, but visitors to Valletta really can’t miss out on the Grand Harbour boat tour. So many of the best views of the city and its surroundings can only be enjoyed from the water. 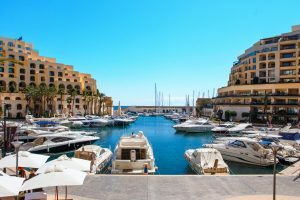 If you need reasons why you should get on a boat, there are plenty…the views of the fortress cities of Cospicua, Vittoriosa and Senglea, the monuments, the charming little creeks, and the professional, knowledgeable commentary from the onboard guides. 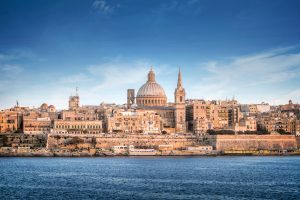 A great way to get a feel for the city and finding even more reasons to move to Valletta!